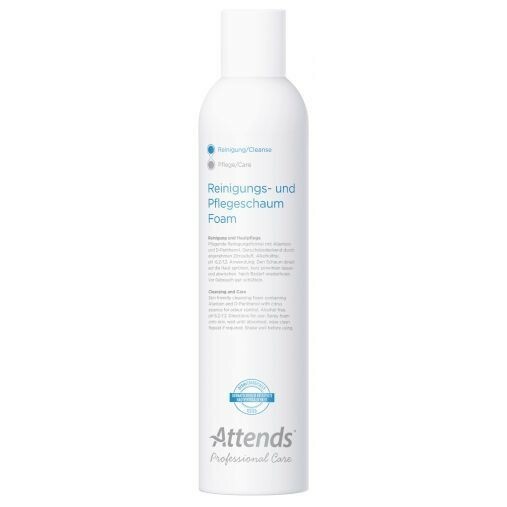 The Attends Care Cleansing Foam can be used in-between the bathing or showering schedule. It’s perfect for deep intimate care and is easy to use. 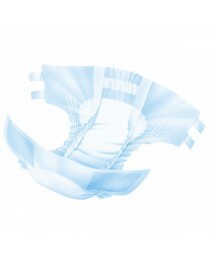 This is a form of dry wash that can be used without soap or water, and can easily be applied with a cloth or disposable towel. This cleaning foam contains allantoin and D-Panthenol. It contains no alcohol like other alcohol-based cleansers which can dry skin. Instead, this formulation will specifically give soft, supple skin. It will also leave behind a protective film on the skin which can help to decrease future skin irritation from bodily fluids or skin secretions that can be harsh and drying, and cause skin irritation. To use the cleaning foam, shake the bottle thoroughly, then remove cap. The press pump will release a squirt of foam onto a washcloth. Use it to wash the specified regions, then wipe clean with a clean cloth. There is no need to rinse with water, but a cloth dampened with warm water can be used if desired. This cleanser provides an effective but simple way to stay clean throughout the day. The foam also adds an energizing fresh citrus scent. There is no alcohol that can lead to dry itchy skin. This is a skin-friendly formulation that can be used for all ages, and for all skin types, including: normal, dry, oily, or combination skin. It’s been formulated to minimize skin irritation, but provide antiseptic cleansing qualities by dry cleaning and removal of potential bacteria and other organisms that can lead to skin infection. The Attends Professional Care Foam can be used by caregivers, or by patients themselves, or anyone who wants to stay clean throughout the day. It may even be taken on trips or travel where you may not have easy access of a bathtub or shower. It may even be used on bed-bound patients who are unable to leave the bed for bathing. The can tucks nicely away in the bathroom, or you can place it in your bag or suitcase for travel. The can is pressurized with easy release of the cleansing foam, and comes with a protective cap to keep contents from drying out. It’s sold in a 400 ml volume. • Deep intimate cleansing and care. • Provides a soft and smooth skin barrier. • Fresh citrus essence scent.